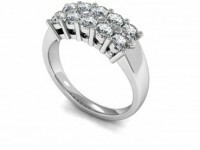 “Clover” Beautiful eternity ring made of a double row of round brilliant diamonds claw set in white gold. This eternity ring has 10 shimmering diamonds that may be increased or decreased in size depending on your desire. 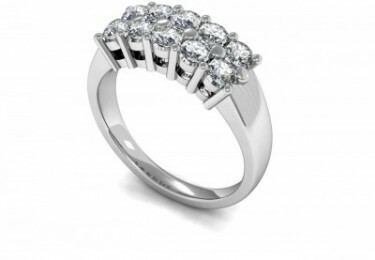 This classic ring may be made in white gold or platinum or made on special order in either yellow gold or rose gold.